How to use Hot Coupon World? Welcome to my blog! For those of you new to coupons and finding great deals I thought I would write a post on one of my favorite forum websites. HotcouponWorld.com is a huge source for information on coupons, deals and much more. I use it on a regular basis to look for coupons in the coupon database (see below), CVS deals (see below) and even grocery forums just to name a few. This forum is so full of information it can be a little overwhelming if you are a first time user of the site here is a beginner guide on places to check out first. The place to search for ALL coupons – inserts, blinkies, mailers, and even internet coupons. If you are looking for a coupon and want to know where it is, I suggest looking here first! 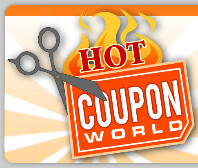 Hot Coupon World CVS Forum is a great place to chat about deals and buzz about CVS. I really like this view because you can find the most recent deals. I learn about new scenarios for my next shopping trip and coupon match-ups I might not have thought of before. This link is for ALL of the most recent posts in Hot Coupon World. What are other links do you find helpful on Hot Coupon World? I love to hear about other tips.